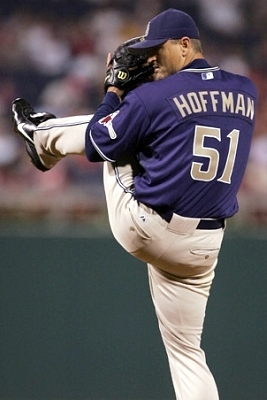 Today, Trevor Hoffman decided to retire, according to MLB.com. He was a class act on and off the field, and a great San Diego icon. Trevor had a Hall of Fame career, and was one of the best closers in MLB history. Whenever he entered to save a game, people knew. The “Hells Bells” song as he entered was one of the greatest moments in sports. Here is my tribute to #51. 2. Switched to pitcher mid-year, because of a suggestion by single A manager Jim Lett. 4. Traded to the Padres in a deal which involved Gary Sheffield going to Florida. 5. Took over at the closing role in the strike shortened season of ’94, recording 20 saves and having a 2.57 ERA. 6. In the 1995 off-season, he developed his changeup, which became his bread and butter pitch. 7. In 1998, he recorded 53 saves and took his team to the World Series. The Padres lost that series to the Yankees. He finished 2nd in the CY Young voting that year. 8. In 2005, he recorded his 400th save in a game vs the Cardinals. 9. On September 24, he became the #1 saves leader in MLB history, in a 2-1 win over the Pirates. 10. 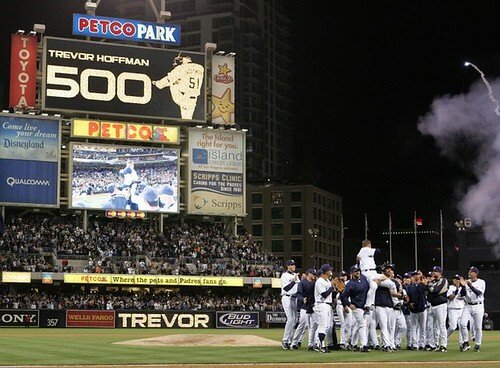 On June 6th of 2007, he recorded save #500. 11. The Padres decided not to pick up his $4 million dollar option. He signed a 1 year deal with the Brewers. 12. He had one of the best seasons of his career, putting up 37 saves with a 1.83 ERA. 13. 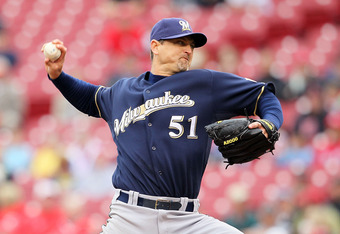 He returned to the Brewers on another 1 year deal in 2010. 14. Although having a tough year, he got save #600 on September 7, 2010. 15. He retired on January 11, 2011 with a career total of 601 saves. Thank you, Trevor, for everything you have brought to the game of baseball. Although his on the field accomplishments are over, he is expected to sign and have a front office job with the Padres. 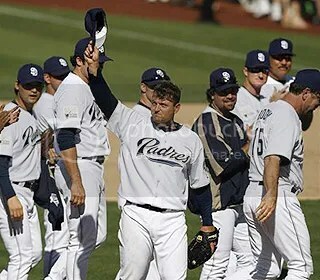 A press conference is expected to happen tomorrow at PETCO Park at around 9 AM PT to officially announce his retirement. Thank you, Trevor, for everything you brought to San Diego!